Staff writer E.R. Pulgar will be based in Buenos Aires, Argentina until January writing a bi-monthly column for Journiest called Buenos Aires Beat. In its third iteration, he guides us through the nightlife and new lingo of this eclectic city. People always seem to be surprised that someone as quiet as me would enjoy clubbing so much. Always one for wandering, I've also loved immersing myself in nightlife, losing myself amidst locals and foreigners, entranced by smoke, and trapped in an endless, droning beat. With Buenos Aires, it's no different—one day in, and I'd already found my way to a drag ball and two underground parties at one of the many casa de residencias around the city; think a hostel, but with permanent residents. In both of these settings, from large concert venues to these small locales where I smoked and drank alongside everyone, one word kept getting thrown around: boliche. I was under the false impression that this was an Argentine word for a party; upon my first Google search, it meant "a game of billiards," but I chose to think in context. Consulting Argentines, I came to know that the word connoted a venue, and as it got thrown around it meant a place to go where music was being played, whether it was underground or a big venue. I was well aware that Argentine Spanish was worlds away from what I learned in school and spoke at home with my Venezuelan parents. Even with that knowledge, there was nothing in this world that could prepare me for lunfardo. I came to Buenos Aires knowing what little I know about tango: I liked Carlos Gardel, I liked that the streets of San Telmo were full of people dancing to "Por una cabeza." I was unsurprised when I found out that an entire slang, pervasive in the mouth of every porteño and expansive enough to have its own dictionary, had developed among the lower classes at the secret tango clubs. In the mouths of the great tango dancers, cigarillos became puchos, a mess became a kilombo, a word that used to describe a game of billiards came to become the word to describe the place to be. And that's perhaps the most beautiful aspect of Argentine nightlife: a boliche can be anywhere, as malleable as the meaning of the word and as language itself. My first big boliche may have been that drag ball in the Colegiales district, but my favorite one took place at a casa de residencia. The set up was simple: a couple rooms, an outdoor space where people could smoke puchos and porros, an indoor space where a band played the same beat on African drums. The audience would shout the beginnings of a song, the band would improvise and adjust accordingly. My friend shouted the beginnings of "De música ligera," an iconic track from Soda Stereo, the Argentine rock band that Gustavo Cerati fronted, and has achieved a hallowed status in his home country. My hair stood on end as I watched every single person in the room, drunk or otherwise, sing along. Get Ready for Halloween!! 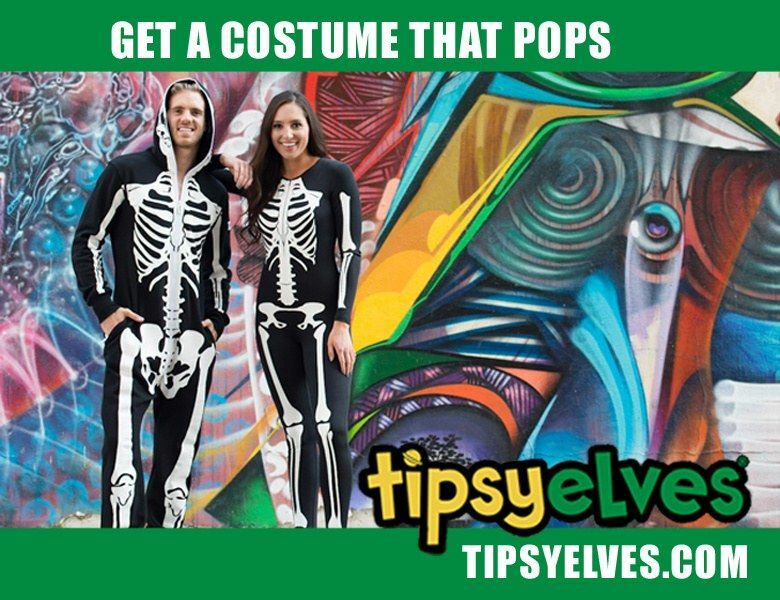 Find Your Costumes at TIPSY ELVES!